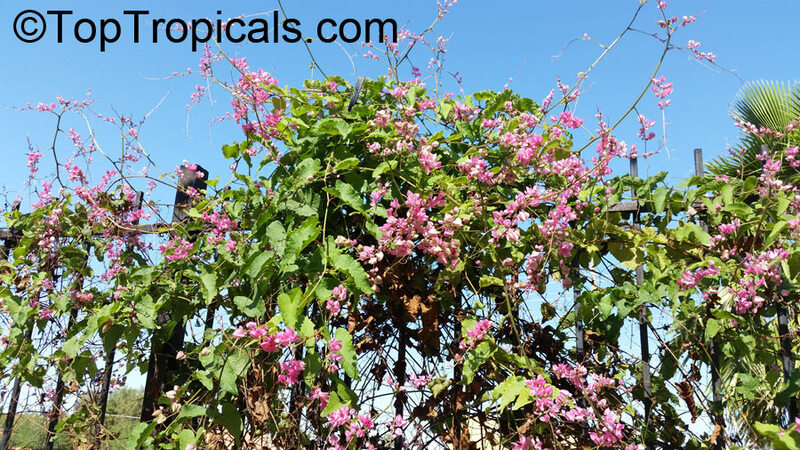 The Ageratum is an annual herb that grows about 2 feet high, and produces small, pretty, pink flowers at the top of its hairy stems. 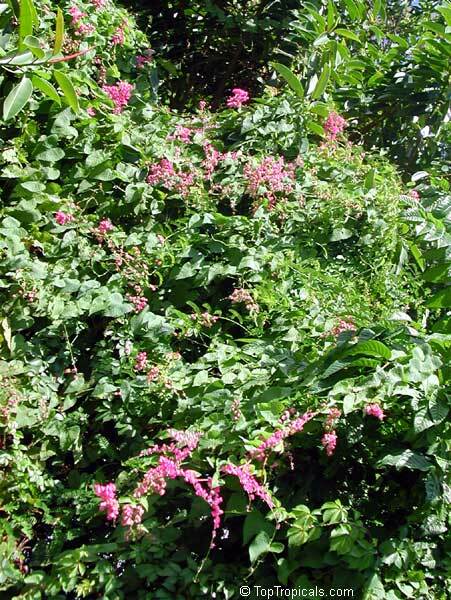 In some countries, it is considered a weed that is hard to control. Ageratum is widely utilized in traditional medicine systems where it grows continuously. 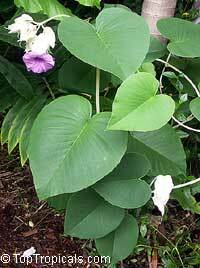 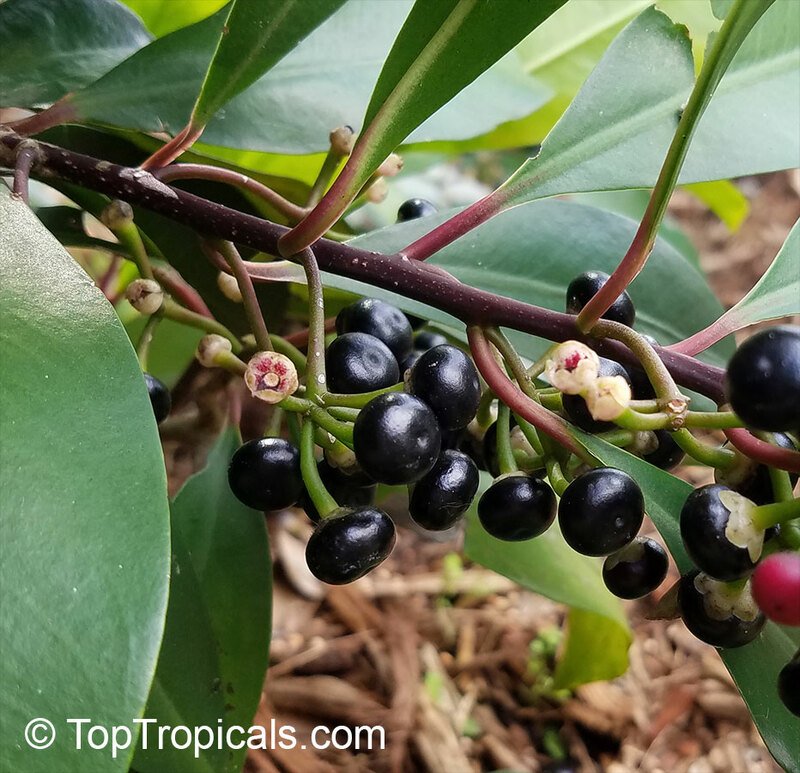 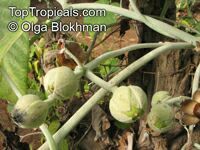 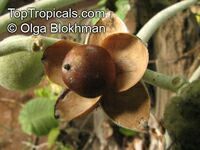 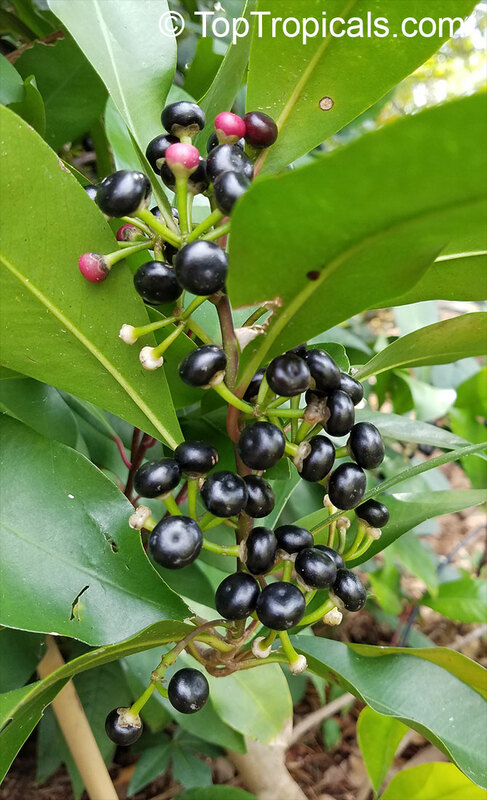 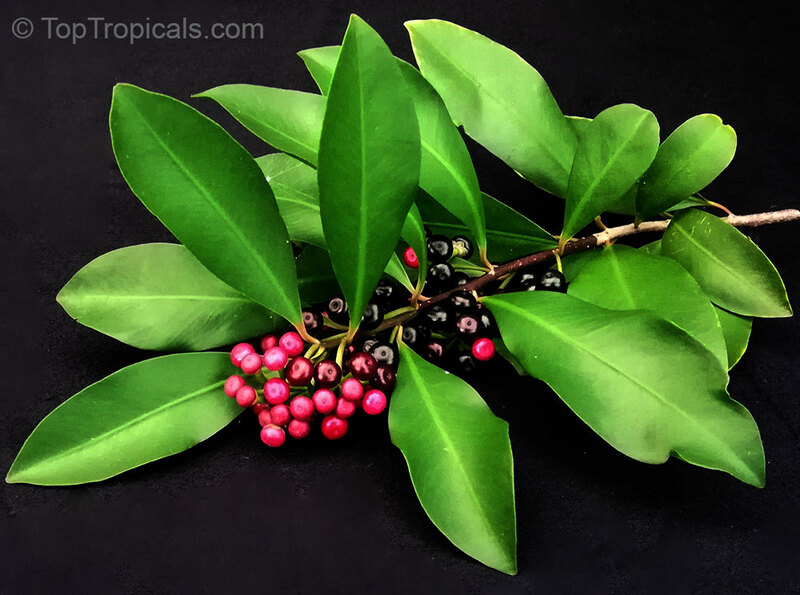 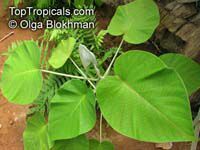 In Brazil, an infusion is prepared with the leaves and/or the entire plant, and employed to treat colic, colds, fevers, diarrhea, rheumatism, spasms, and is also used as a tonic. 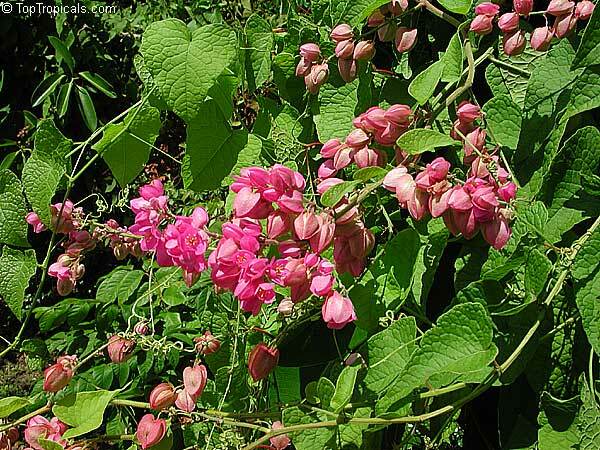 It is also highly recommended for burns and wounds. 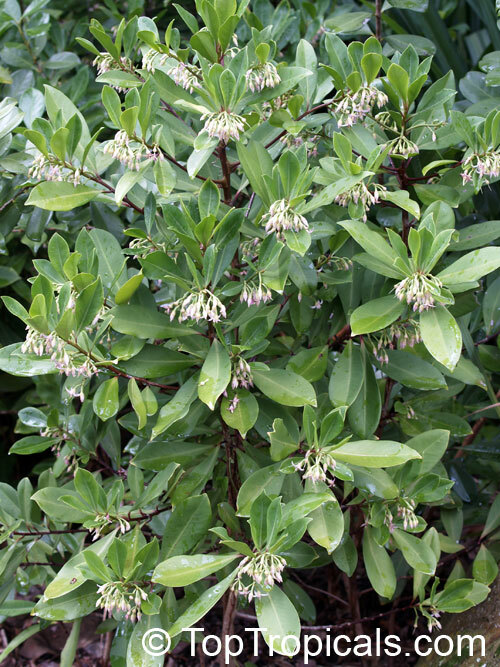 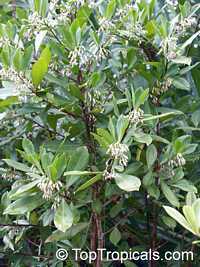 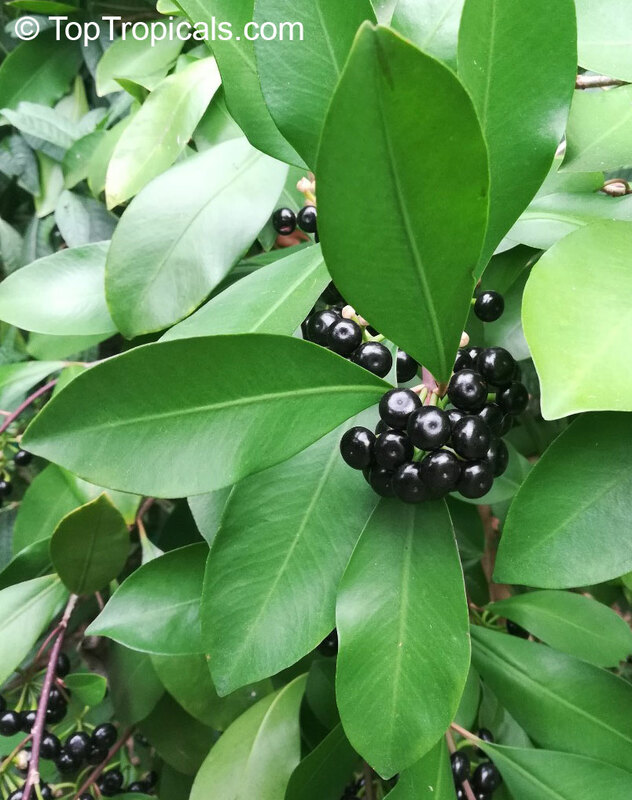 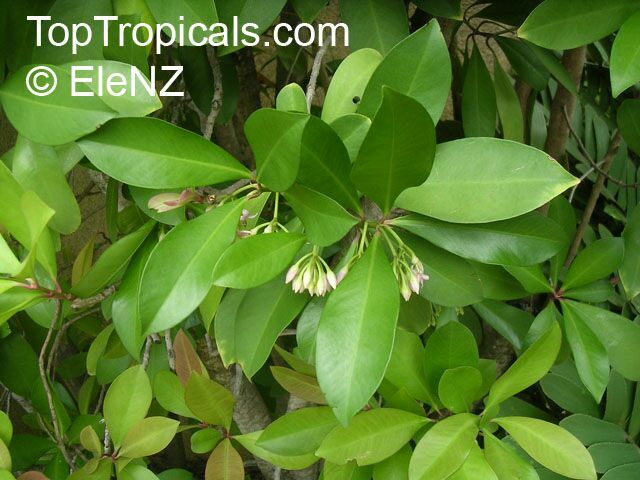 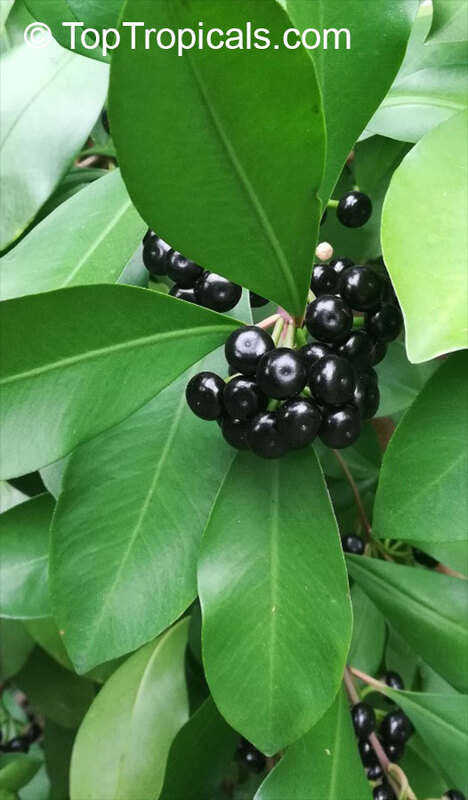 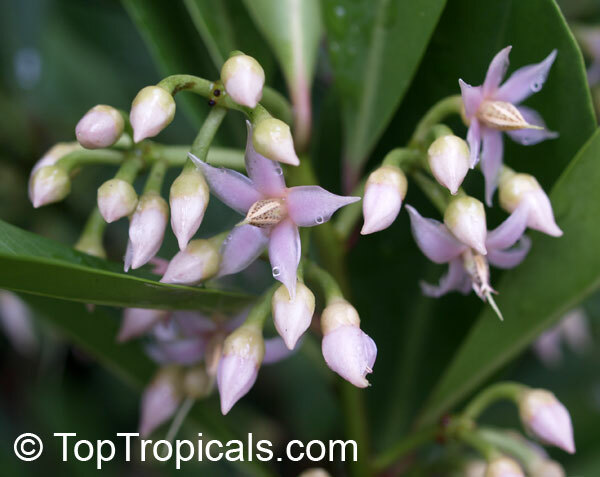 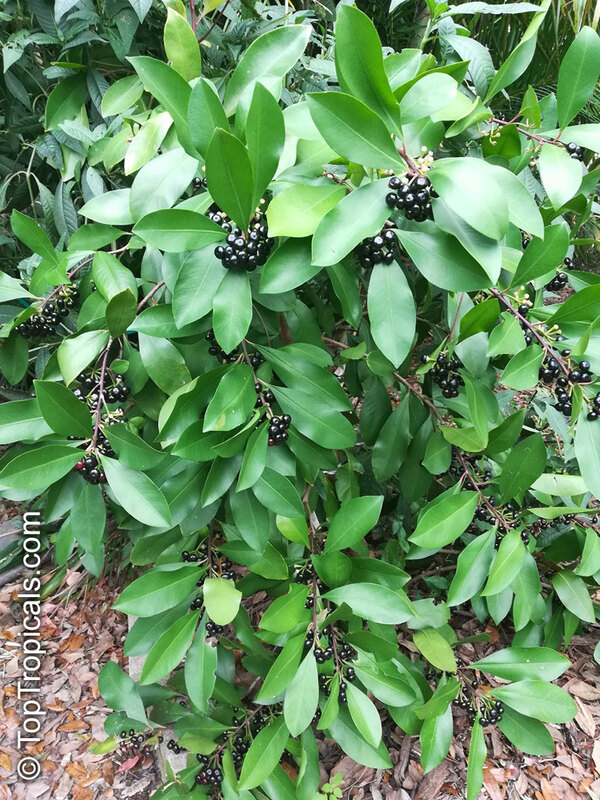 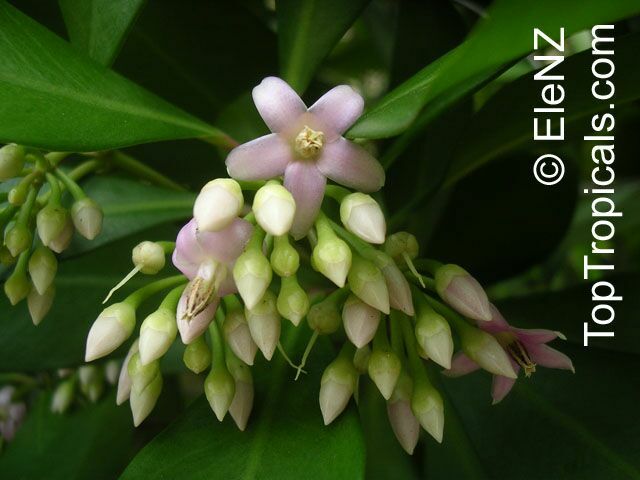 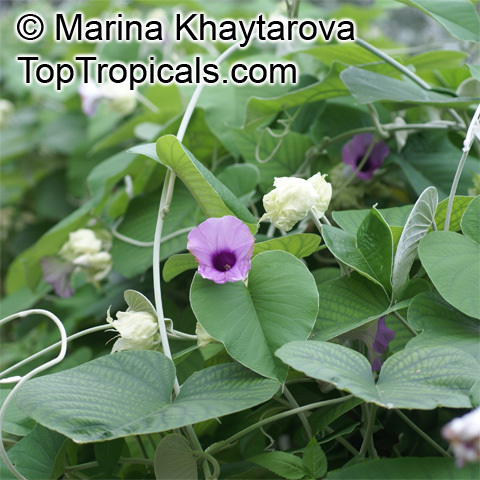 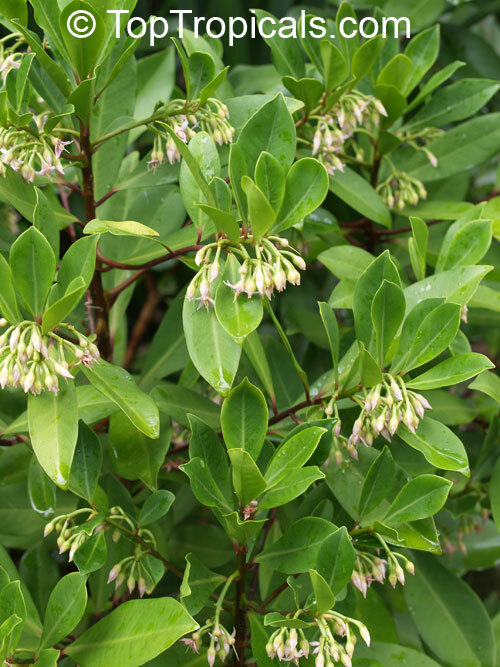 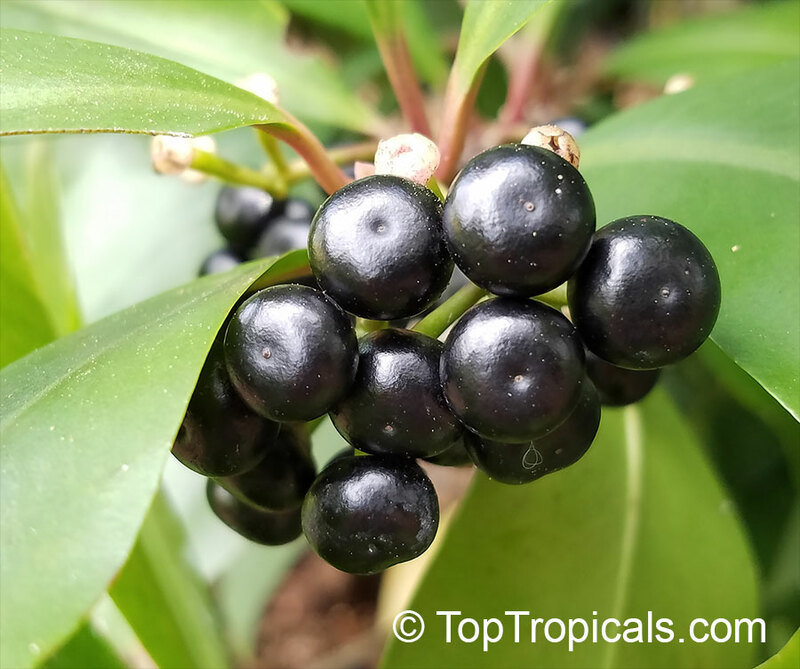 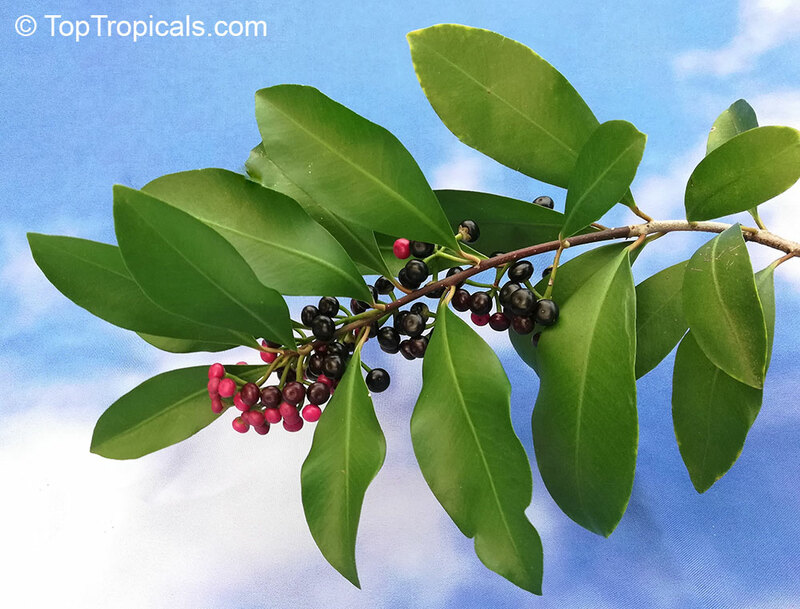 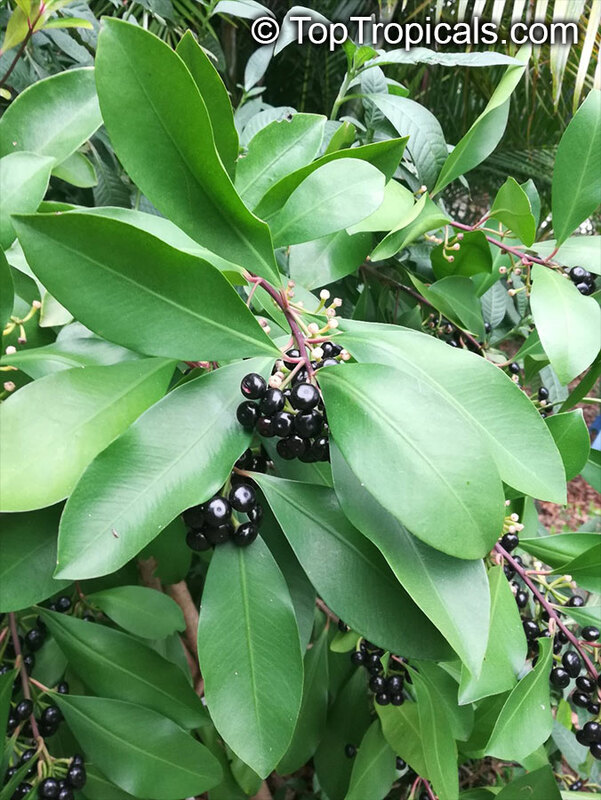 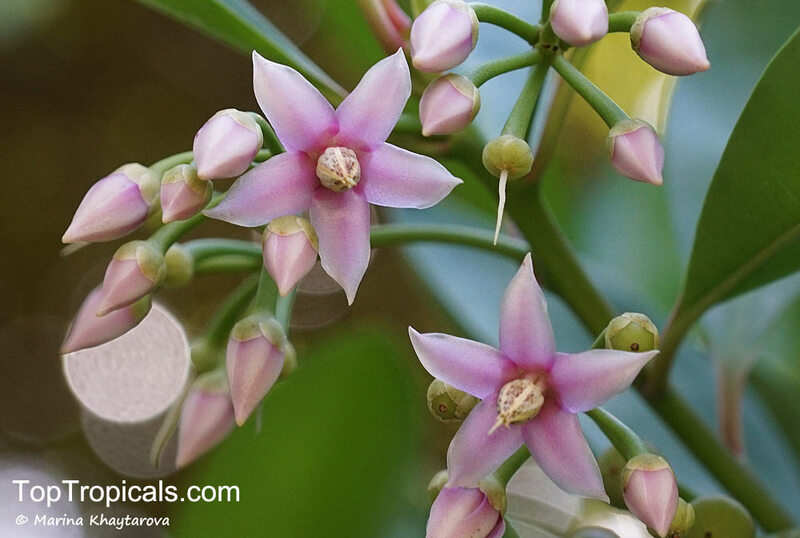 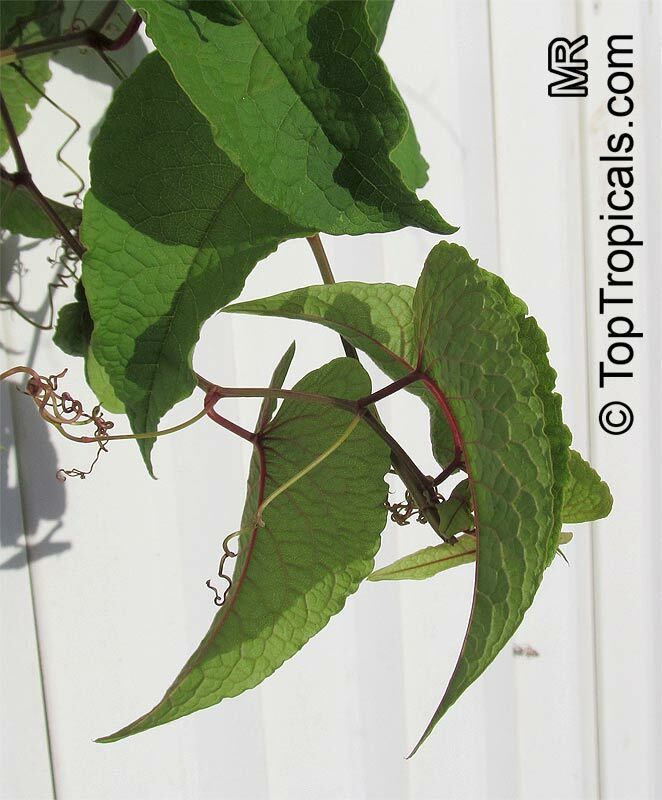 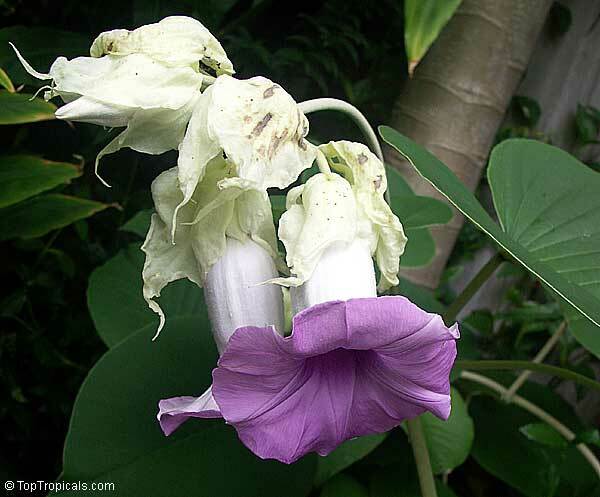 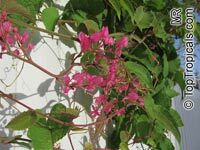 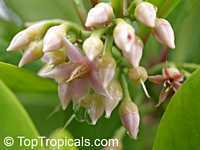 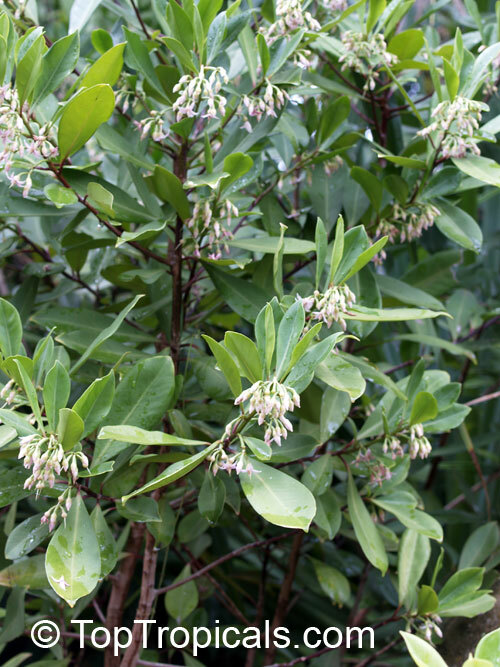 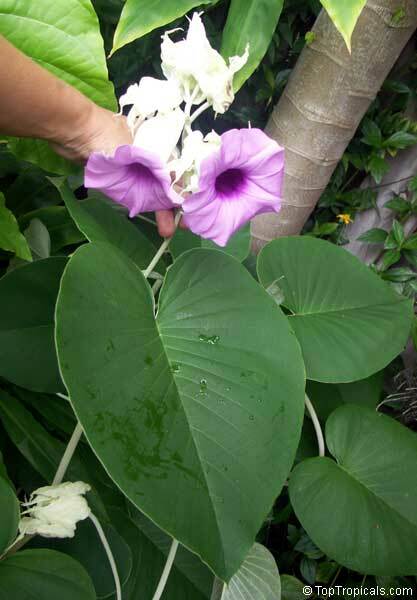 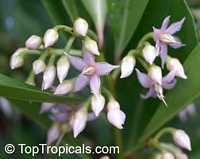 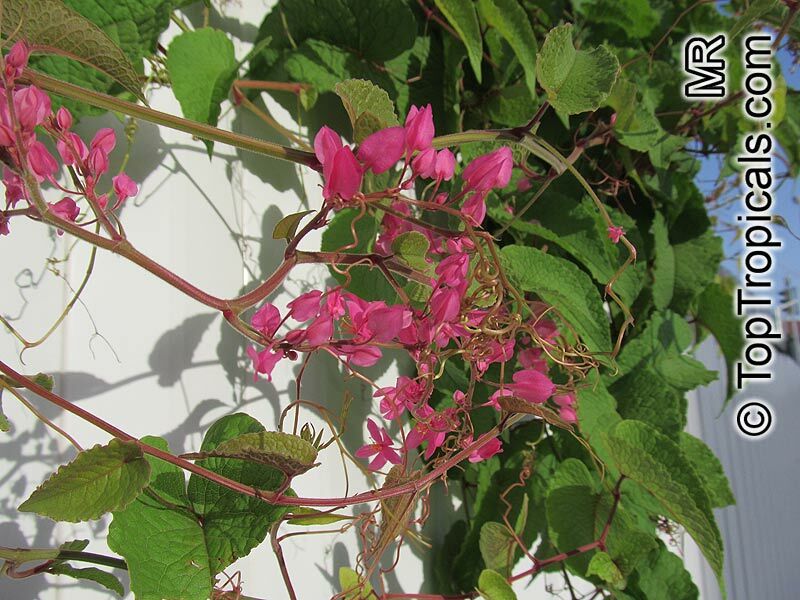 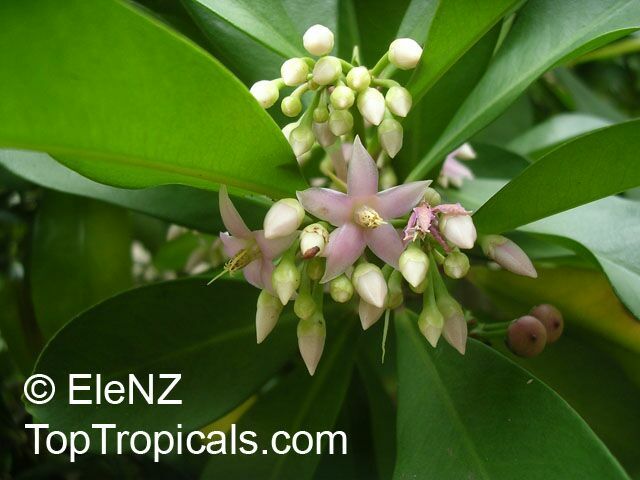 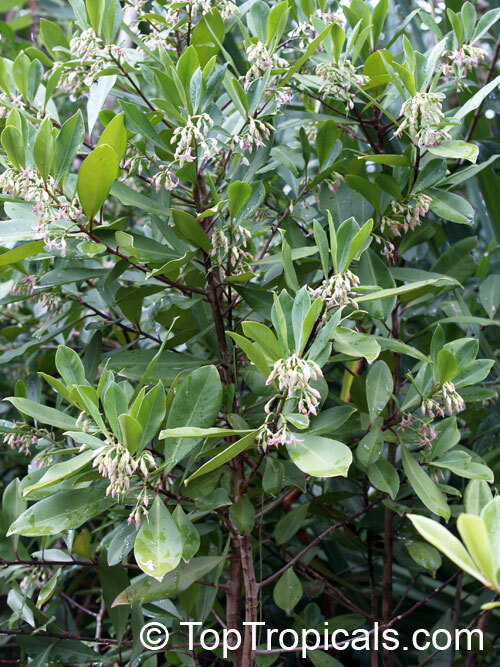 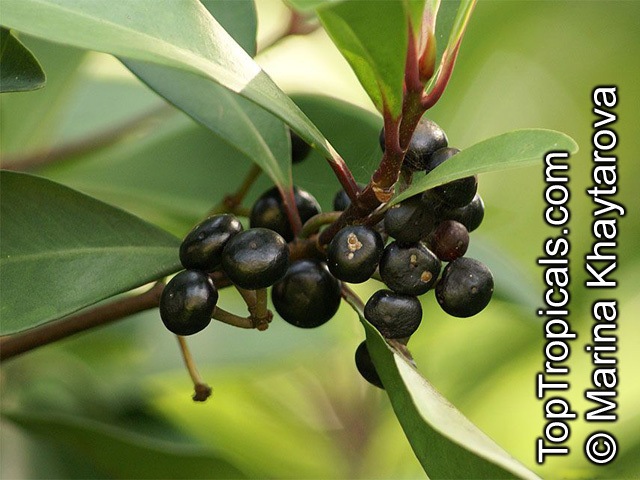 In other countries in Latin and South America the plant is widely used for its antibacterial properties for numerous infectious conditions and bacterial infections. 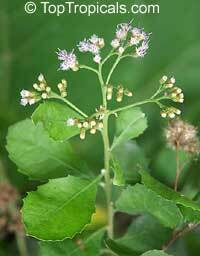 In Africa, ageratum is used to treat fever, rheumatism, headache, pneumonia, wounds, burns and colic. 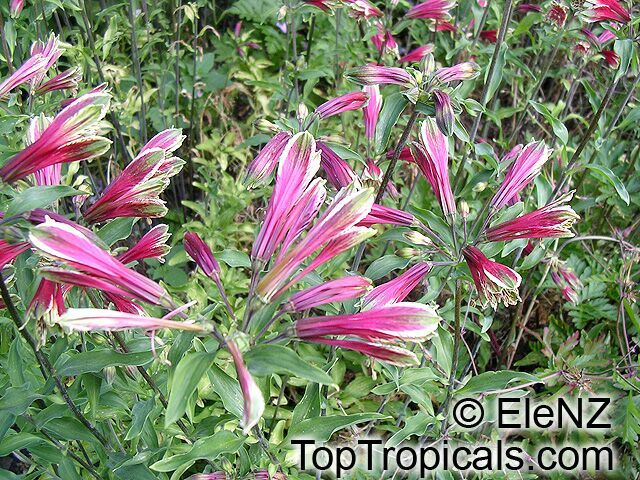 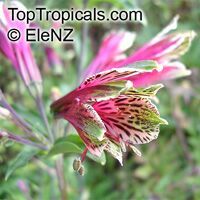 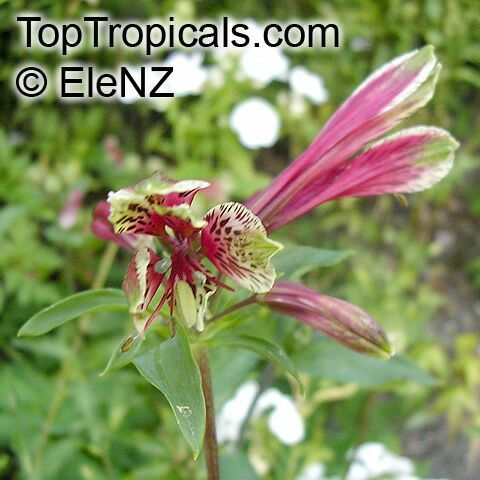 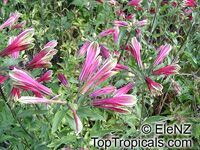 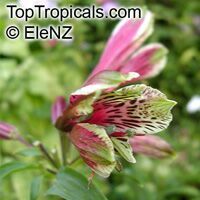 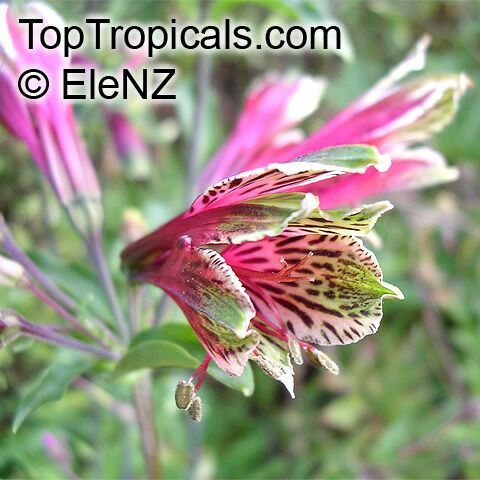 Alstroemeria psittacina is a parent of many of the spectacularly colorful Alstroemeria hybrids. 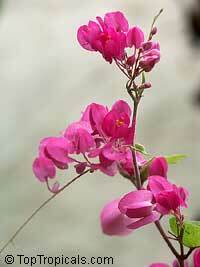 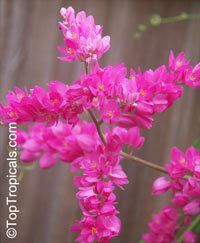 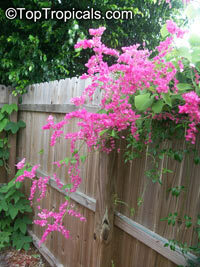 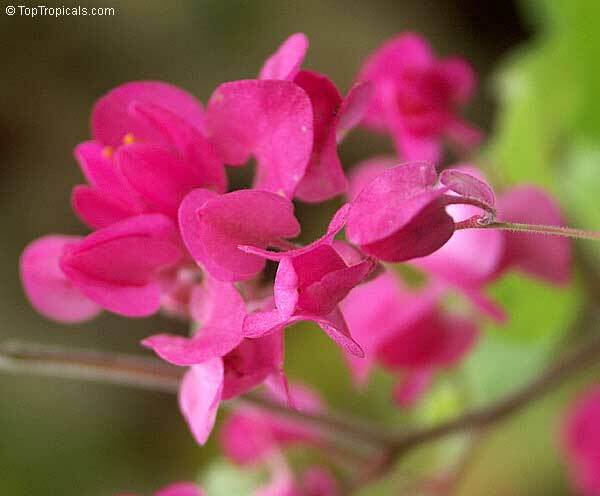 The flowers are crimson on the outside with light lemon-lime shades at the petal tips and on the inside. 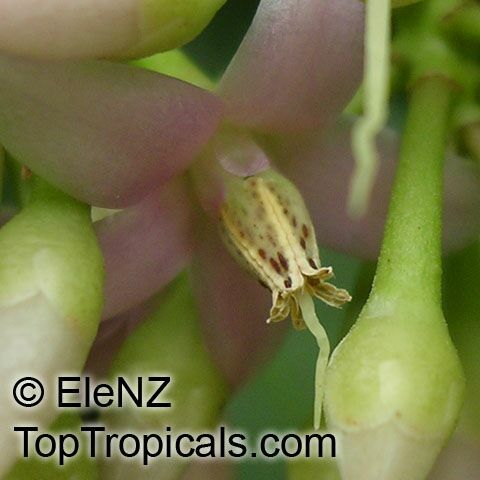 The interior of the flower is streaked with greenish-black. 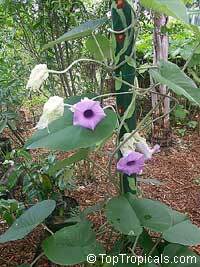 Parrotlily has escaped cultivation and naturalized in many parts of the world, including the southeastern U.S.
Parrotlilies like rich, slightly acidic soils (pH 5.8 -6.8). Grow in full sun where summer temperatures are moderate. 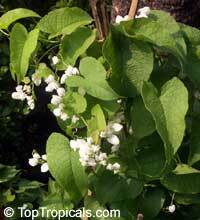 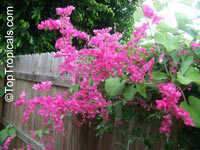 High or partial shade is preferred in hot climates. 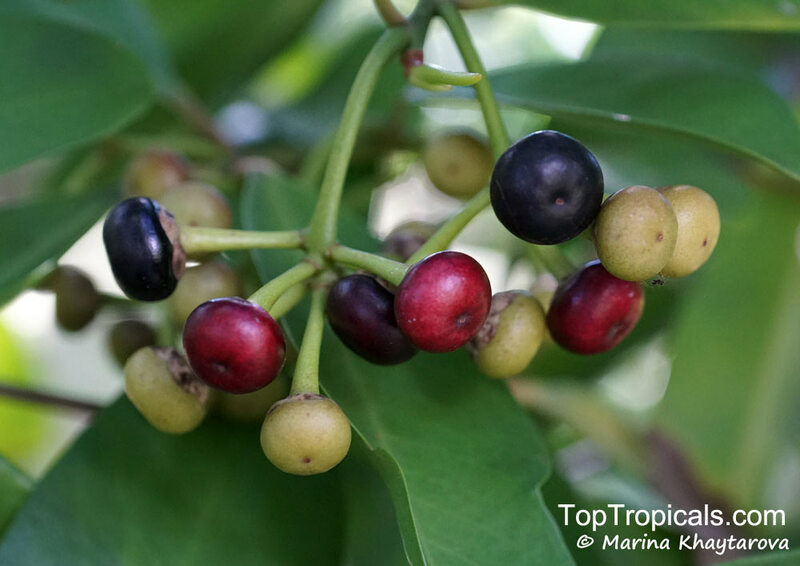 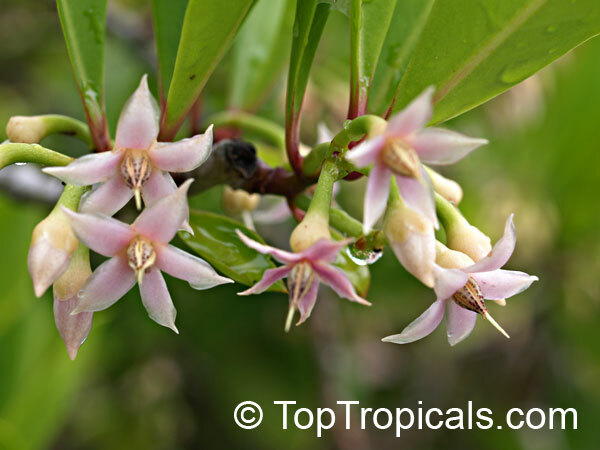 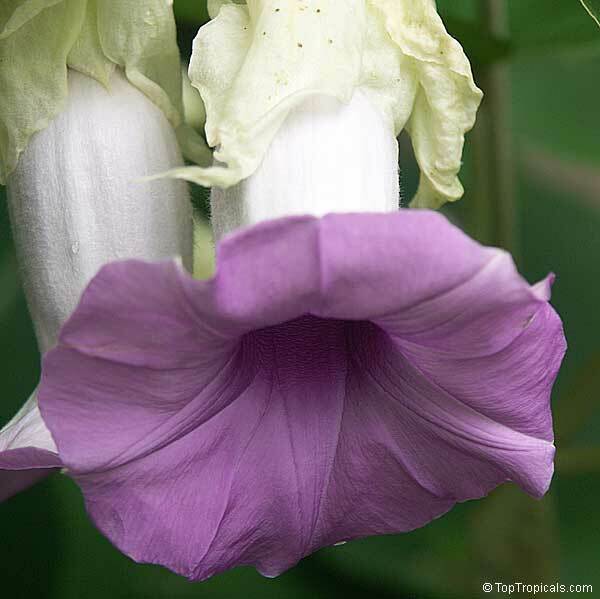 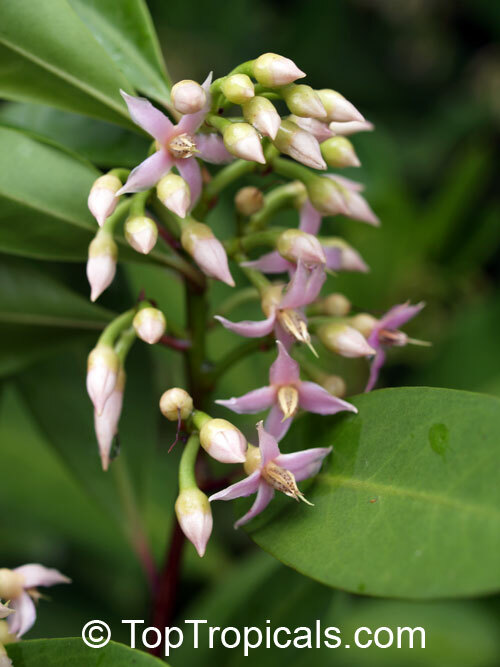 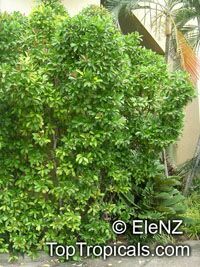 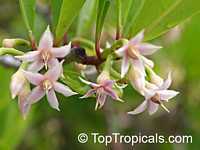 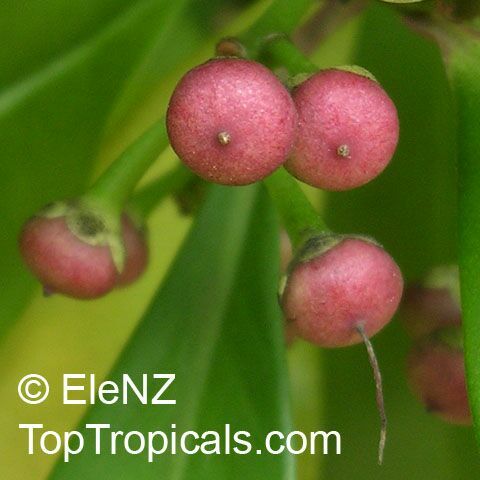 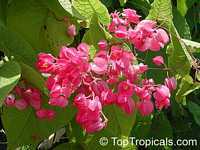 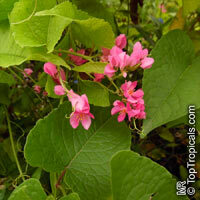 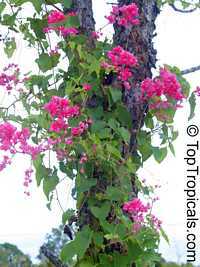 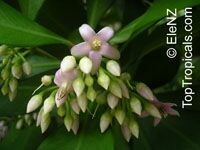 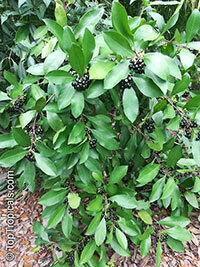 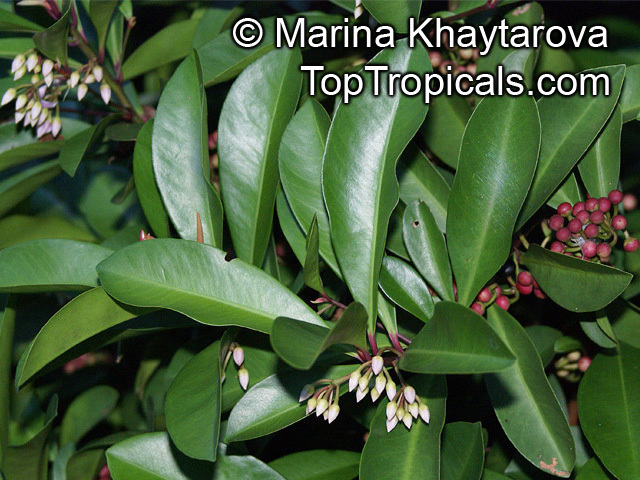 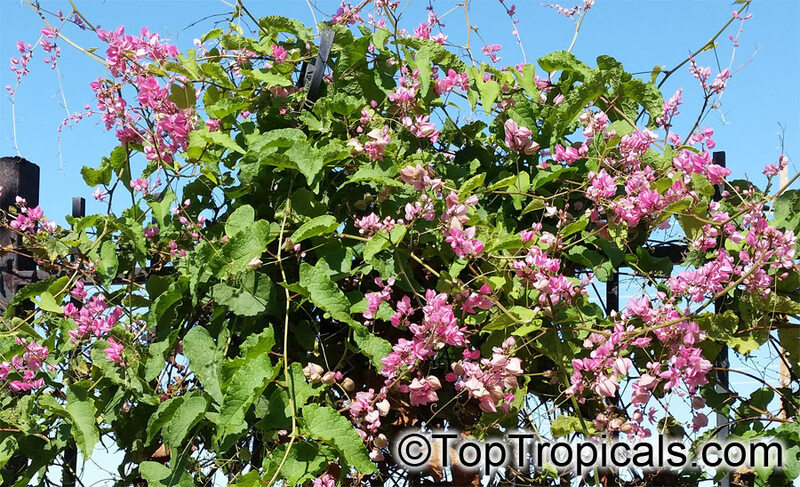 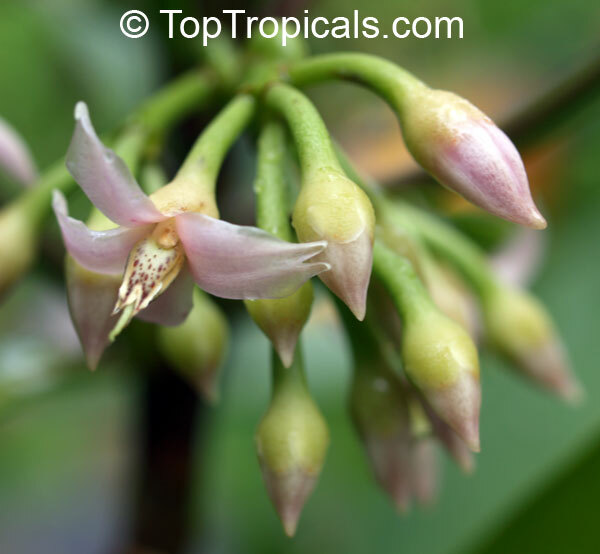 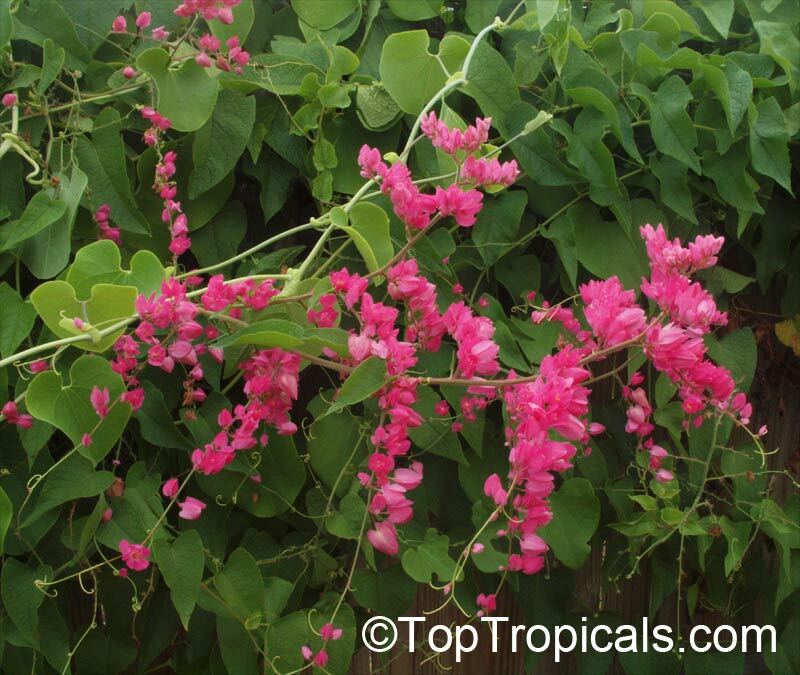 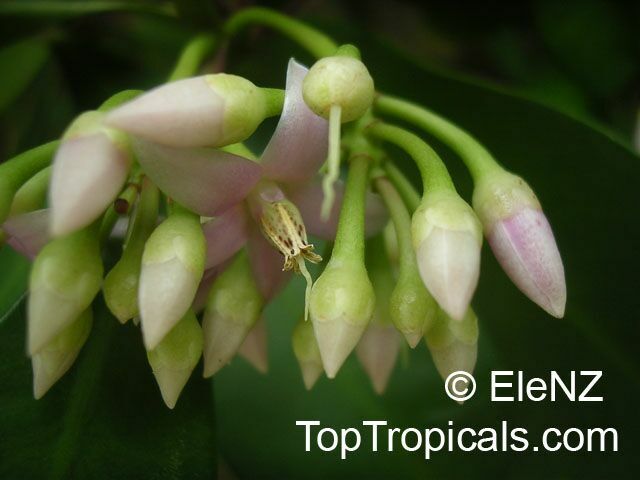 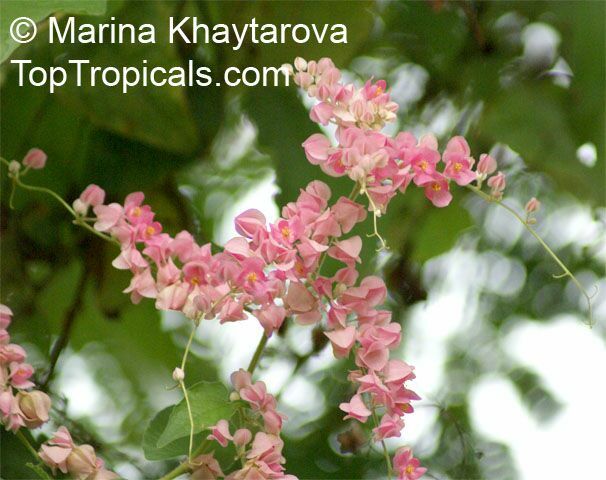 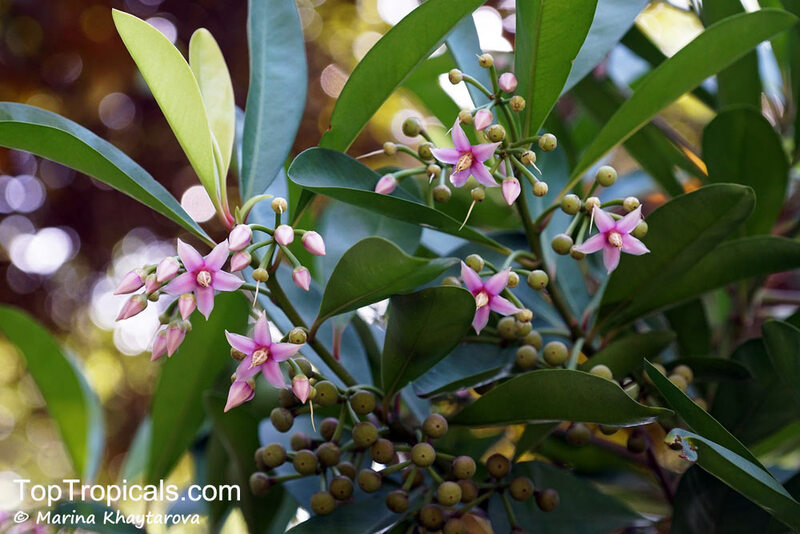 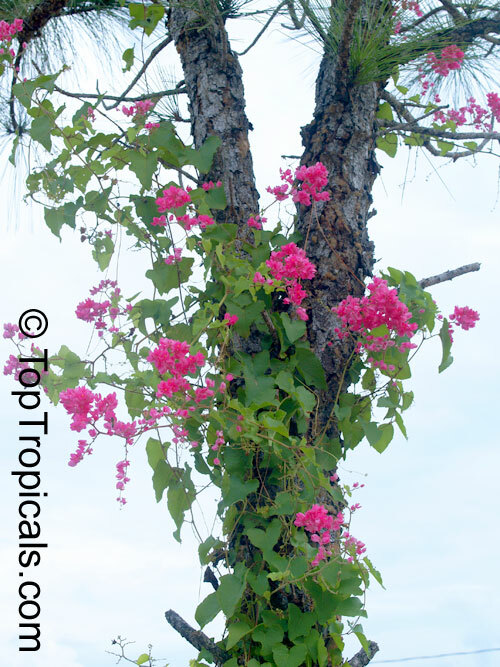 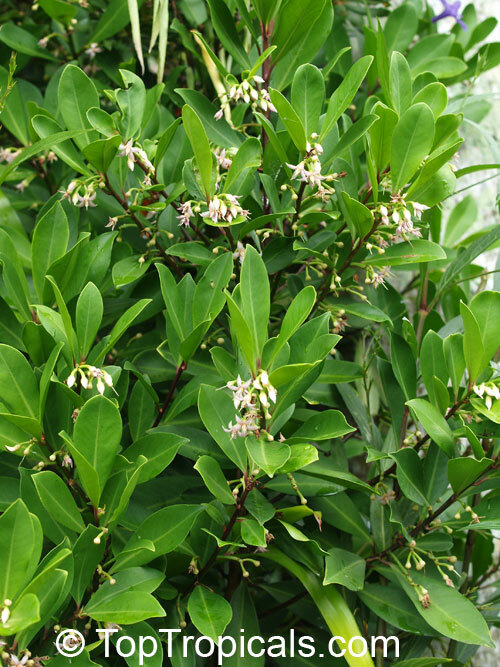 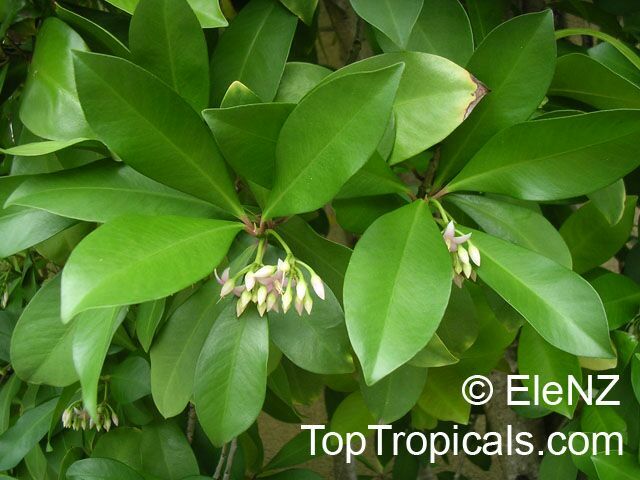 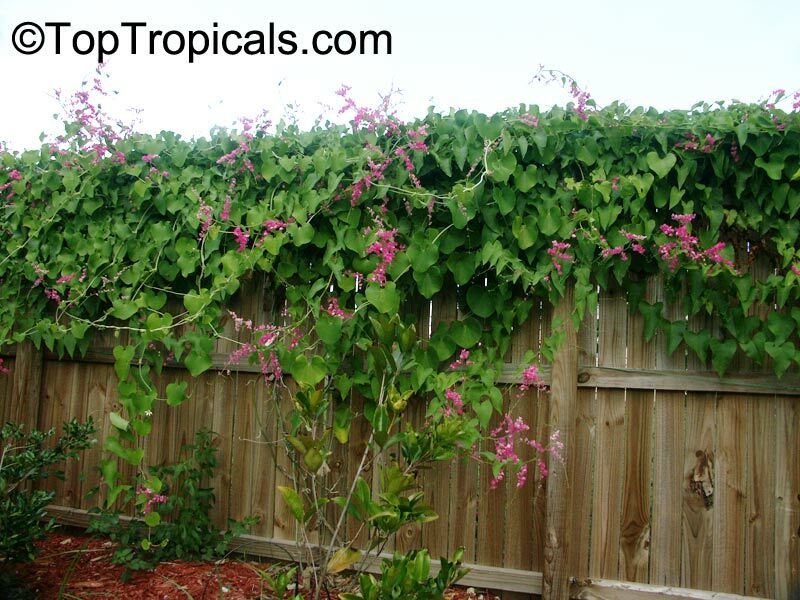 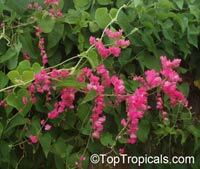 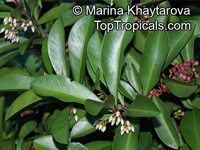 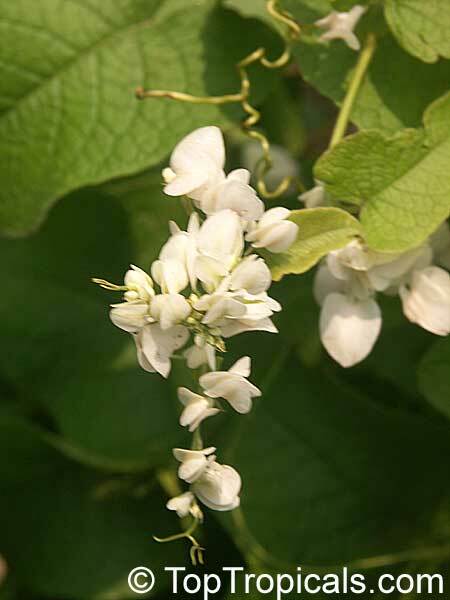 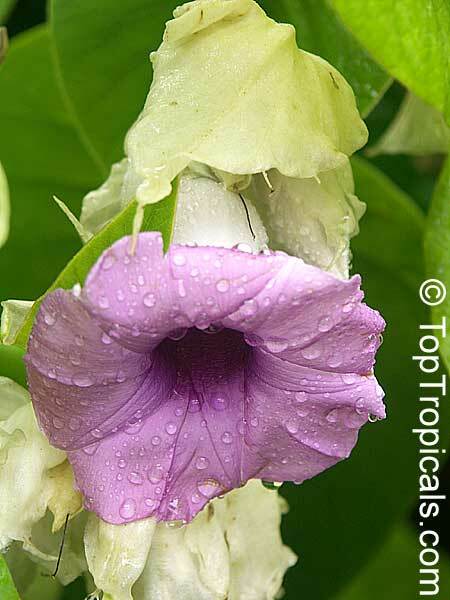 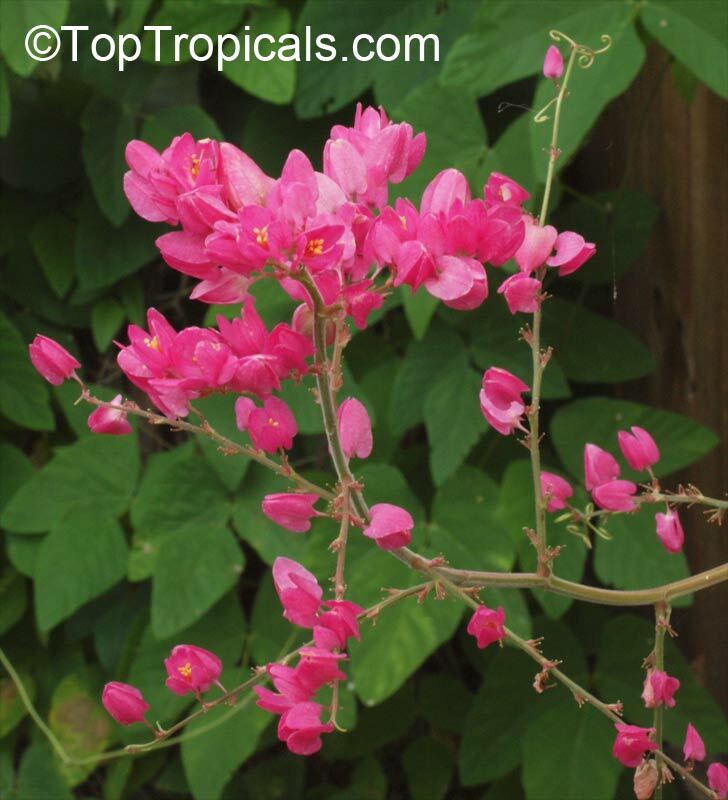 A native of eastern India and Bangladesh, this vigorous twiner will grow 30 ft (9 m) or more into the treetops, but can be trained over a post or stump and kept trimmed to a moundlike form. 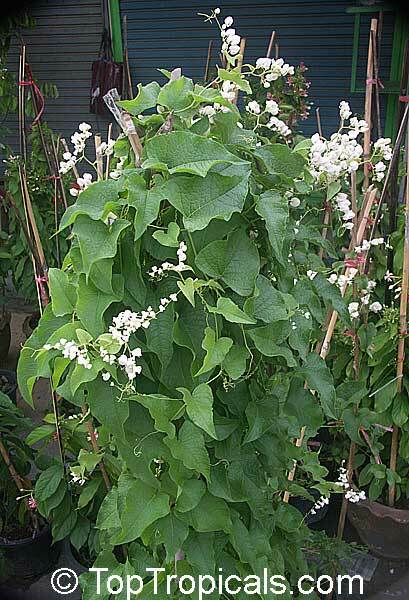 A dense white down covers both young stems and leaf undersides. The leaves are ovate-cordate, to 1 foot across, white tomentose beneath with lateral veins conspicuous on the undersides. 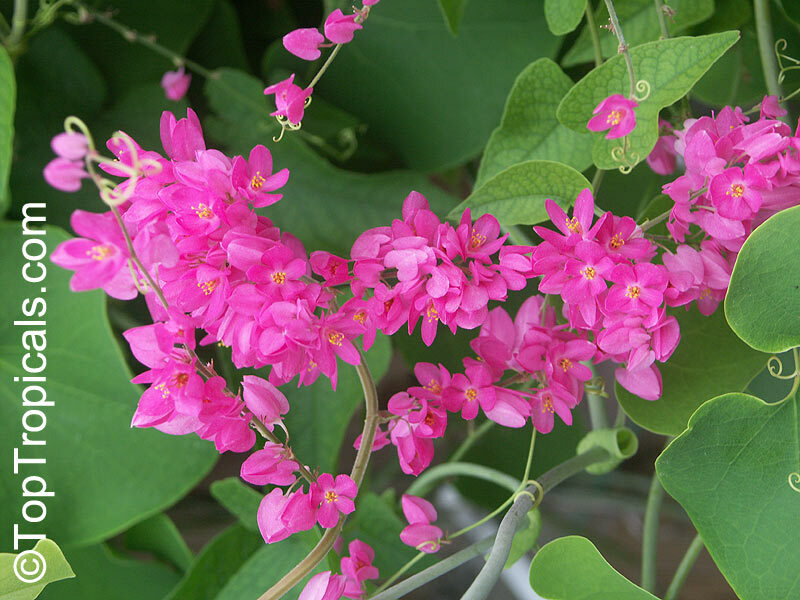 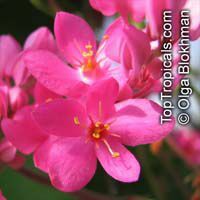 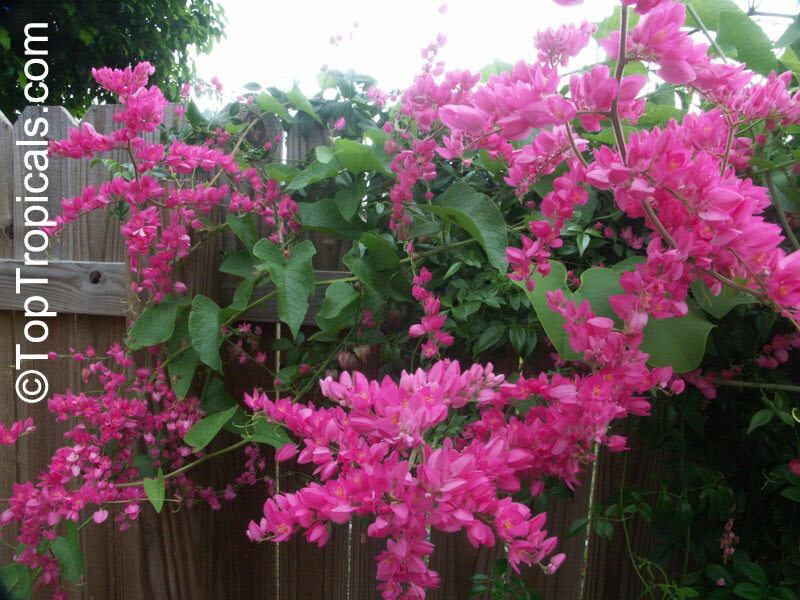 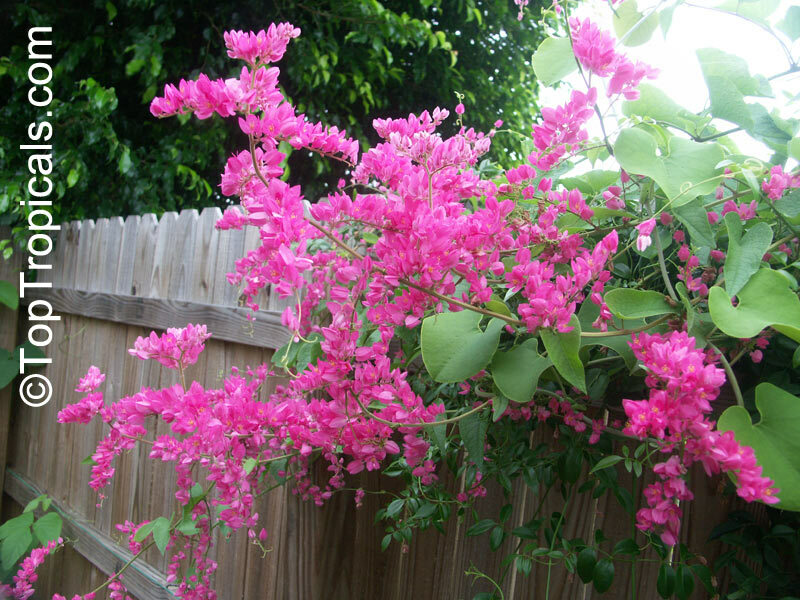 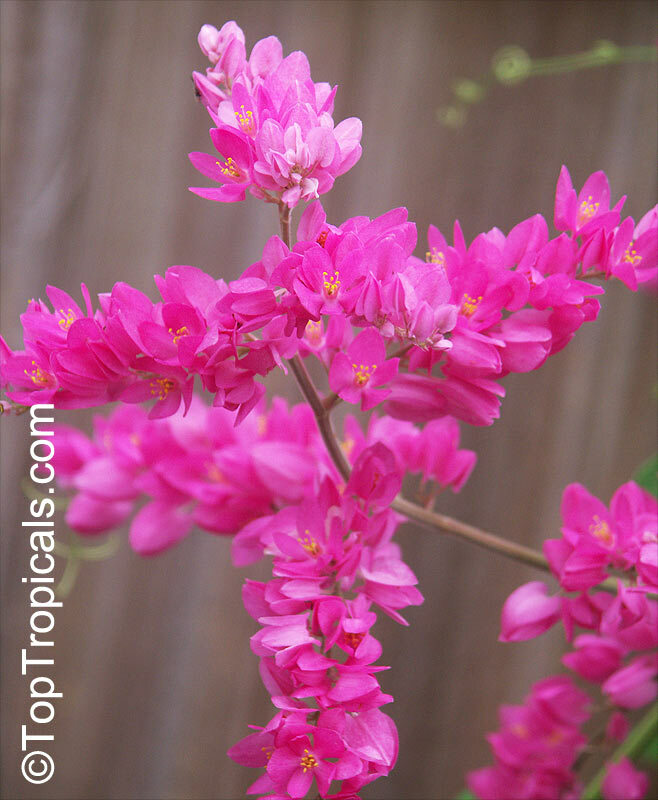 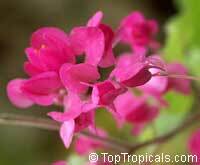 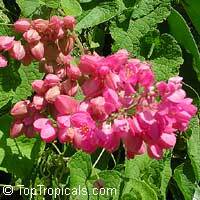 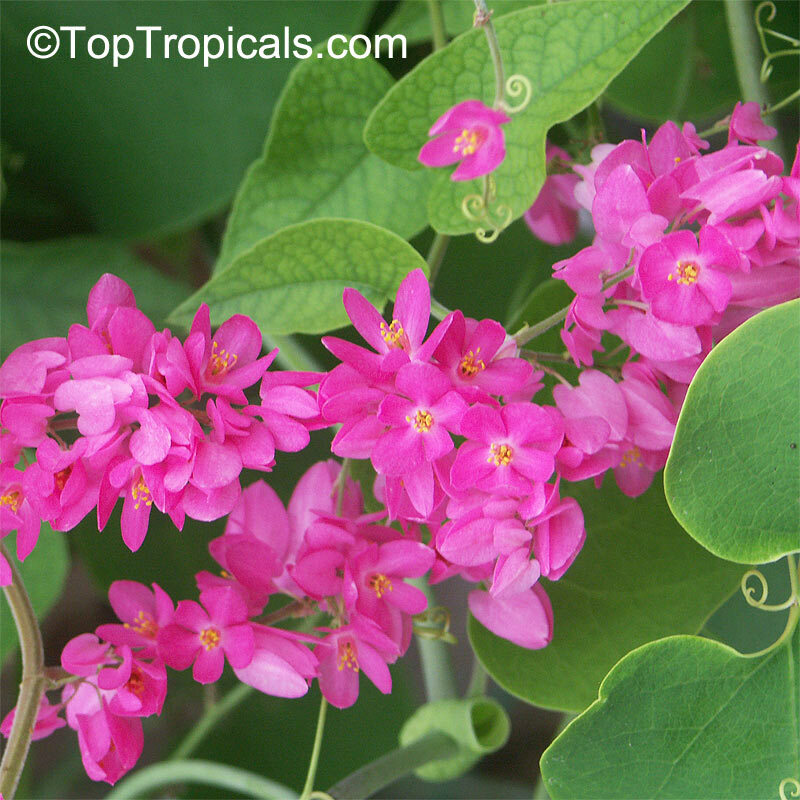 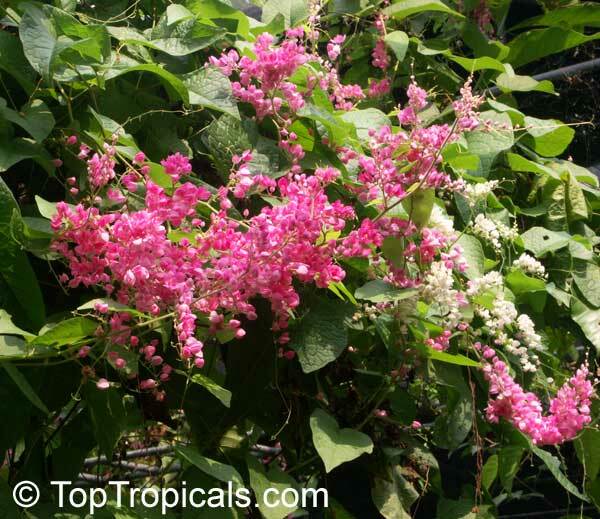 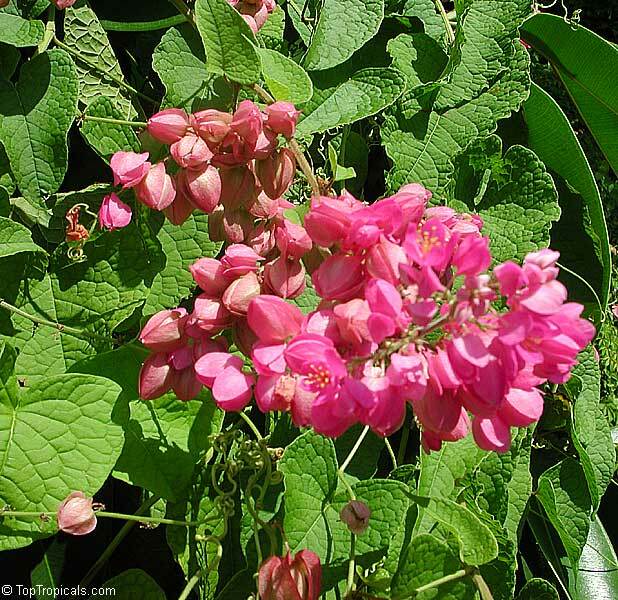 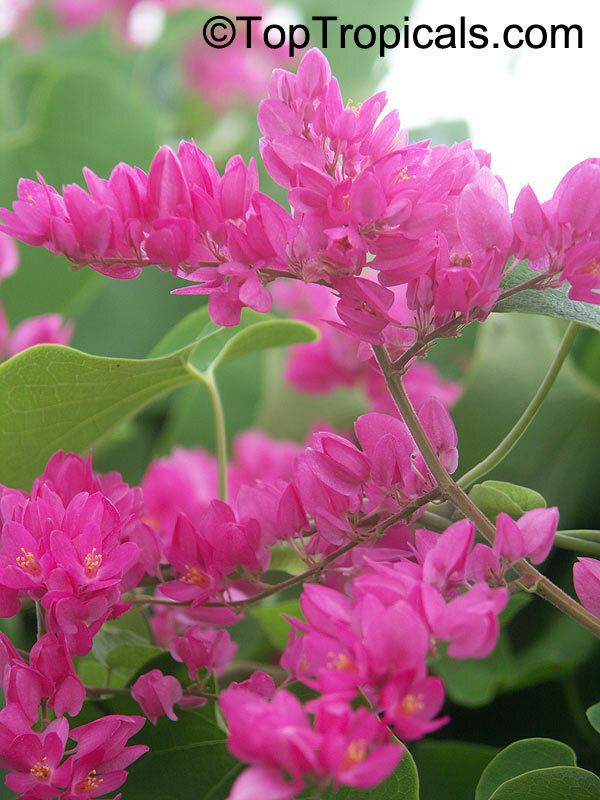 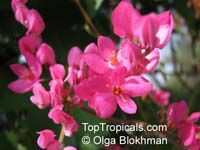 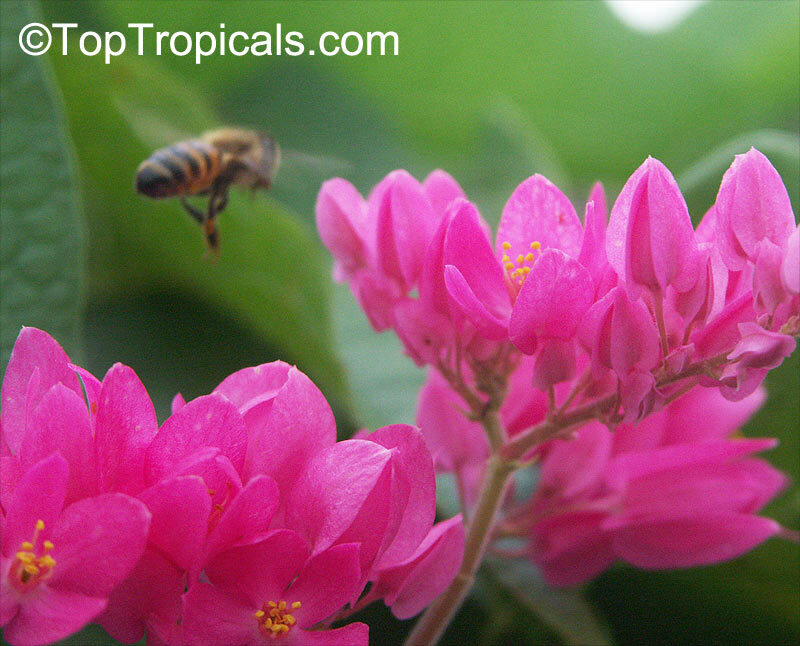 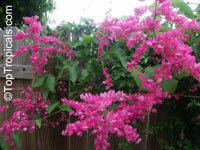 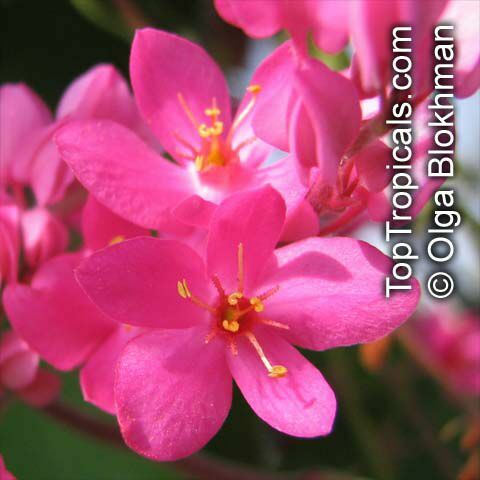 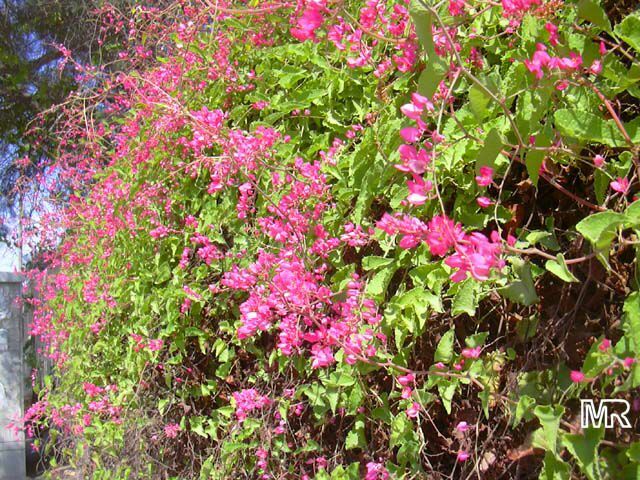 Tight clusters of trumpet-shaped bright pink flowers about 2 in (5 cm) across on pedicels to 6 inches long appear among the foliage in spring and summer. 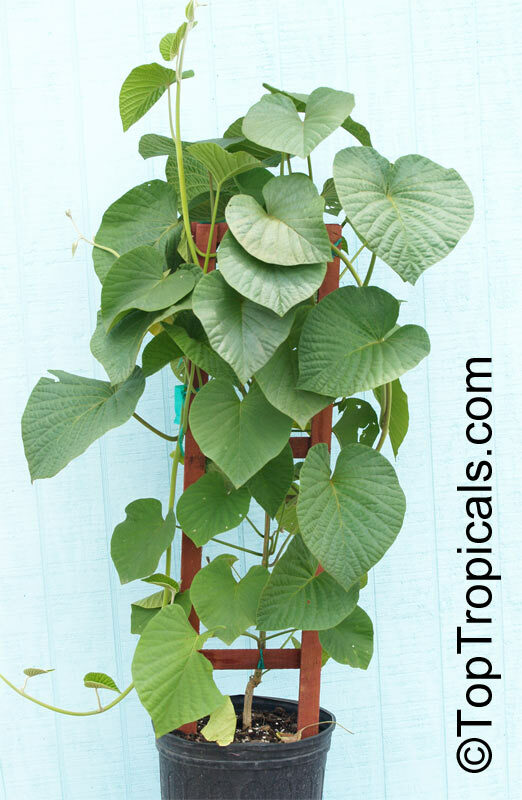 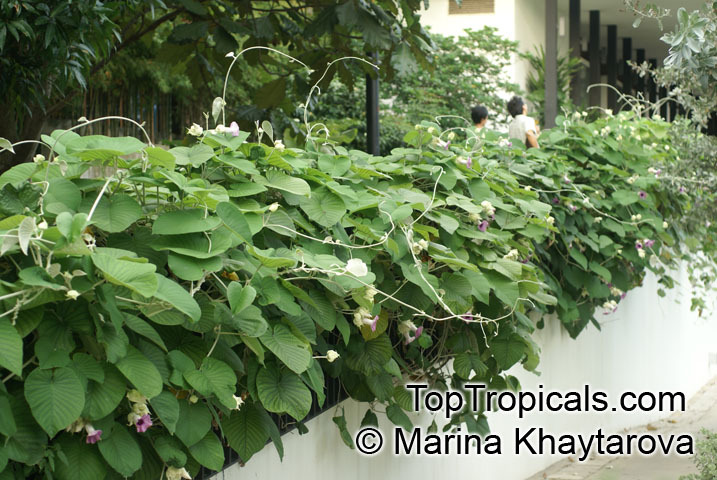 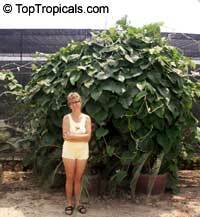 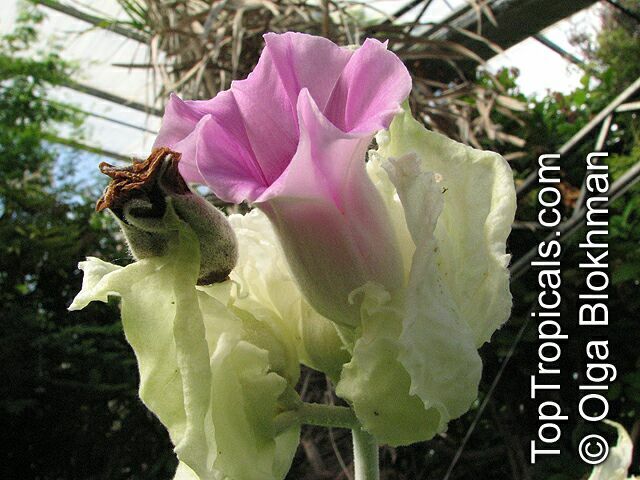 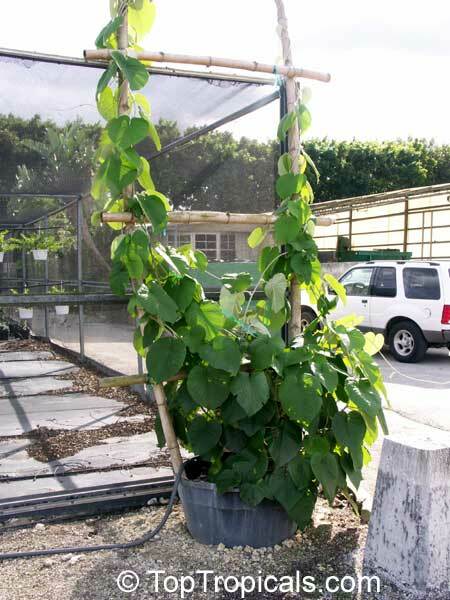 In a tropical climate cultivation is simple, the plants making very vigorous growth in a sunny position in moist soil. 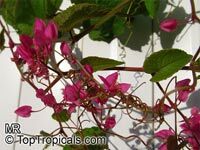 In cooler climates they can be grown in a sunny conservatory, but due to their rampant growth will need frequent cutting back. 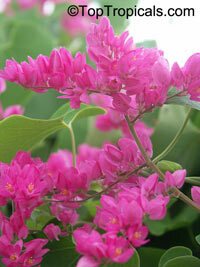 Propagate from seed or cuttings. Used medicinally in India. 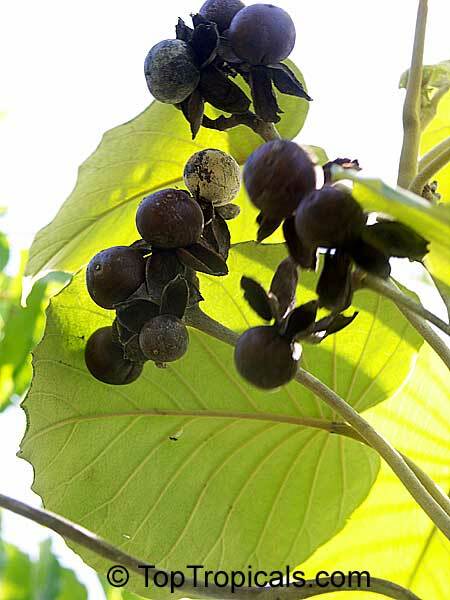 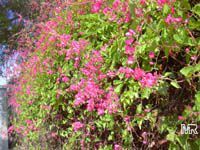 The roots and seeds of Elephant Creeper have been used as a support of the nervous system, a geriatric tonic and mild aphrodisiac. 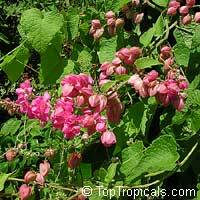 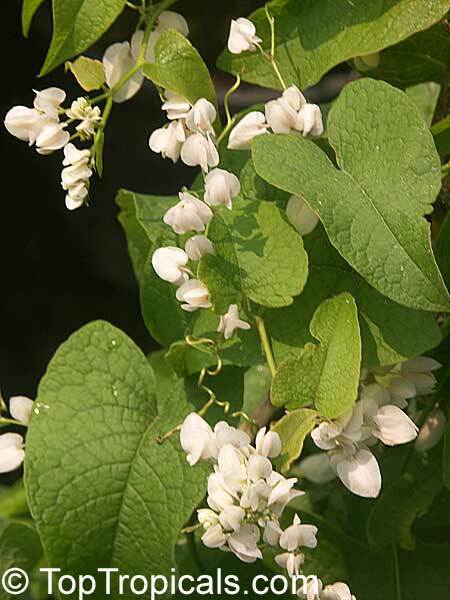 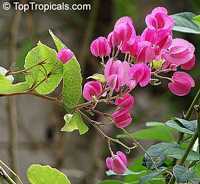 The whole plant is reported to have purifying properties. 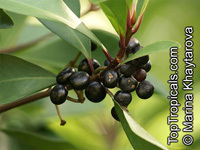 It is also taken to help maintain healthy joints. 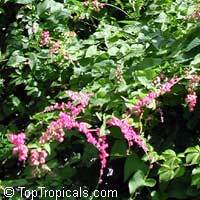 Hawaiian Woodrose. 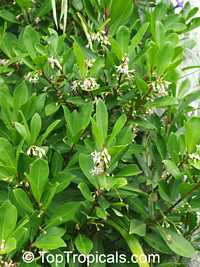 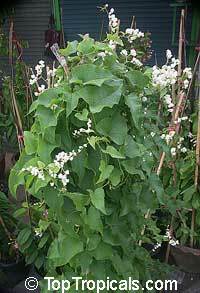 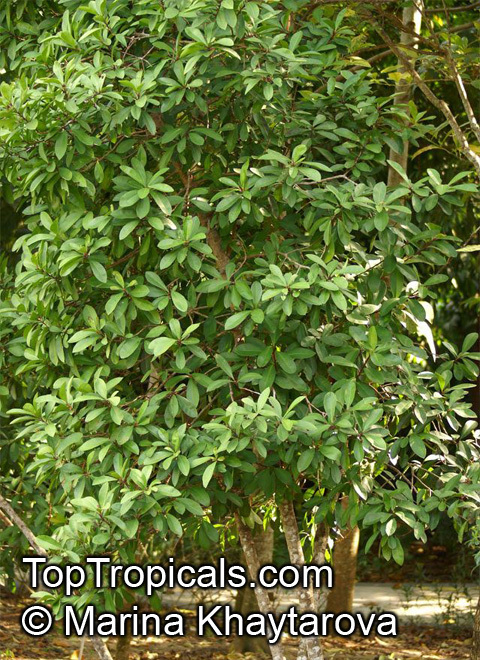 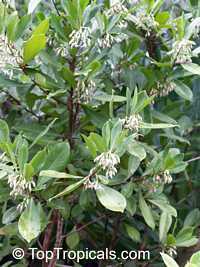 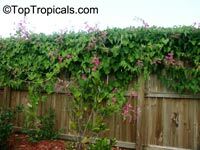 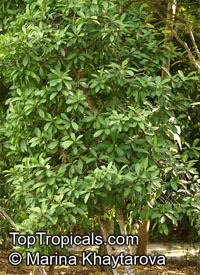 This vigorous twiner will grow 30ft or more into the treetops, but can be trained over a post and kept trimmed to a mound-like form. 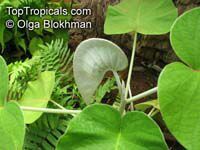 The large leaves have a reverse silver sheen. 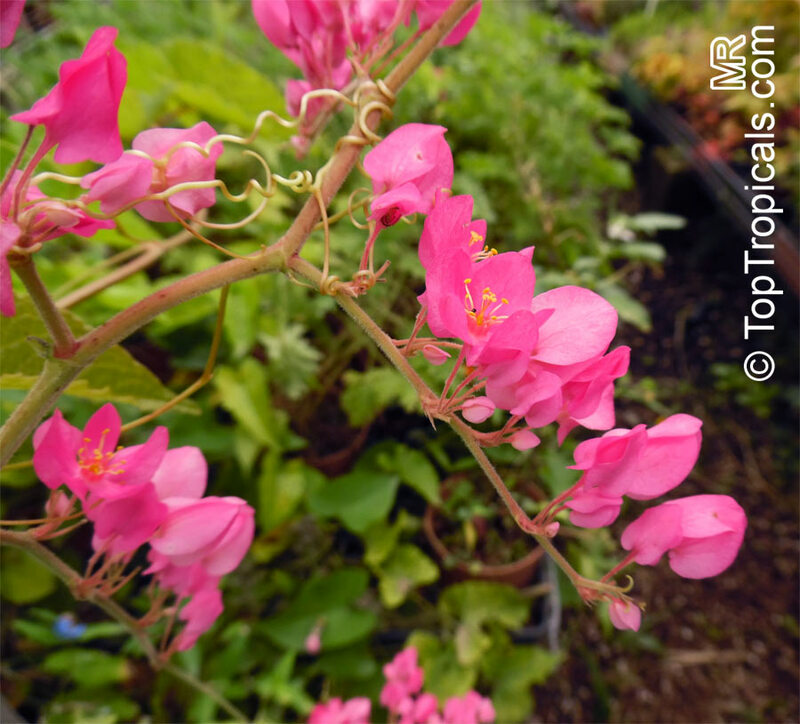 Tight clusters of large trumpet-shaped pink flowers about 4 in across.